Some people see a diamond. Some people, a cross. And some who remember the old blue and gray design may imagine a sailboat. 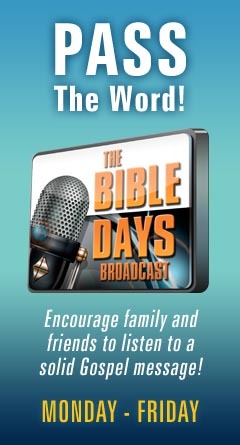 But what do we at BibleDays Ministries see? When BDM was just getting started, I wanted a picture that would encapsulate our mission and heart. You should have seen what I came up with--or maybe not. At any rate, it finally dawned on me that instead of all the intricate, techno stuff I was attempting, I needed something simple. Then I thought, "What could be more simple than the four Gospels?" I drew four squares, but that looked like someone else's logo. I drew four circles. No good. Then I drew four triangles all merging into one another and creating an intersection. That was it! Not only did it show an empty cross--hallelujah!--but it represented the glorious unity of Matthew, Mark, Luke, and John (and by extension, the whole New Testament): the revelation of the Lord Jesus Christ. There was only one thing left to do. The symmetrical design that I had looked rather boring. So, with the help of my graphics program, I tweaked the new symbol ever so slightly (and that's why you can almost see sails and a deep-bottomed boat). Now there was added to the logo a much needed sense of animation; because after all, we at BibleDays believe that the Gospel is a message in action; that Jesus is constantly advancing His all-powerful Kingdom; and that the Church is called to move always forward, overcoming sin, flesh, and the devil! I am going to ask you for one small but great favor: the next time you see our logo or anything else that might represent BibleDays Ministries, please offer up to the Lord a prayer on our behalf. Pray that we, with the many others who are working in the harvest field, will be strengthened with divine wisdom and Holy Ghost anointing to win souls--many, many souls--for Jesus Christ.